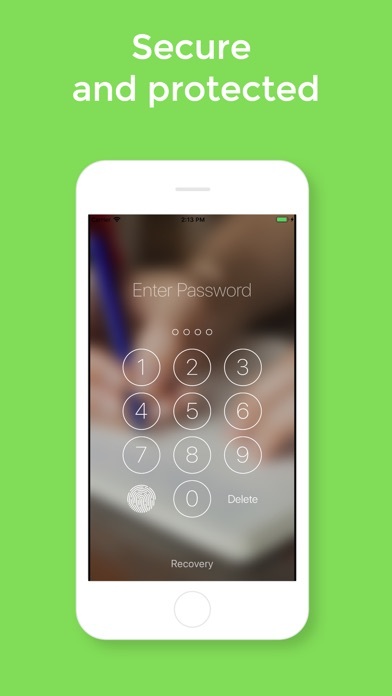 Daybook is a FREE, passcode-protected personal diary, journal and notes app available for IOS. Daybook is designed to record activities, experiences, thoughts and ideas throughout a day. It lets you organise your created diary/journal entries or notes from the past in the easiest way. • SAFEGUARD MEMORIES: Daybook enables to write a private diary, memoir, journals, and notes in the easiest way. This helps to record memories in an organized manner. • ONE TIME SINGLE SIGN ON: Why bother having to remember yet another login details? One time Sign in using Gmail/facebook/email id per device enables it to be a journal diary with a password. The notepad diary daily routine included in the app will be accessed with just passcode later on. 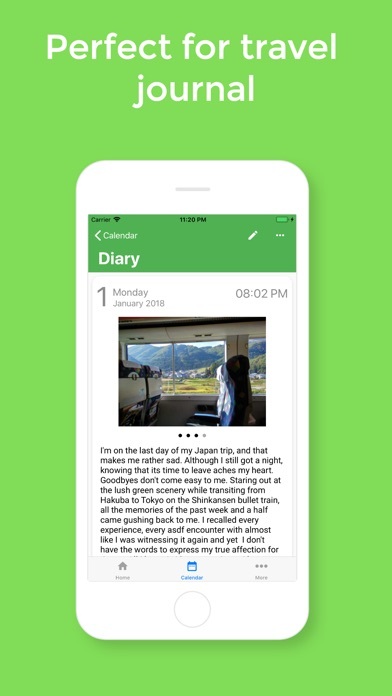 • FREE CONTENT STORAGE WITH AUTO DATA BACKUP: Content/photos included in the daily notes journal will be accessed from different devices and will back up to the cloud automatically. Never need to worry about losing the diary entries. Thus safeguarding memories with the dairy-free app. 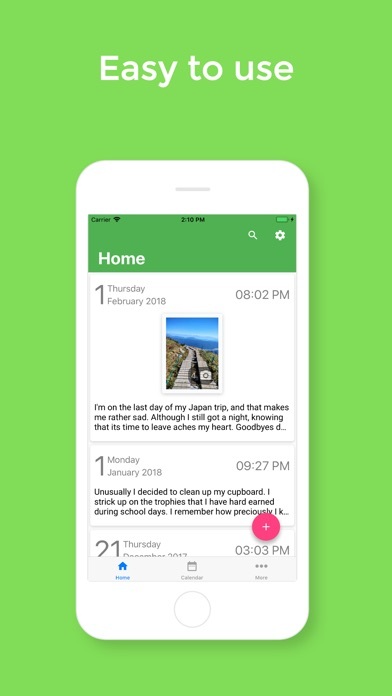 - As a to-do list app: Journal with pictures helps to organize ideas or thoughts to maximise productivity by making notes and lists instantly. - As a Business diary day planner: Create agendas, write memos, craft presentations as notes using daybook as a task manager app. 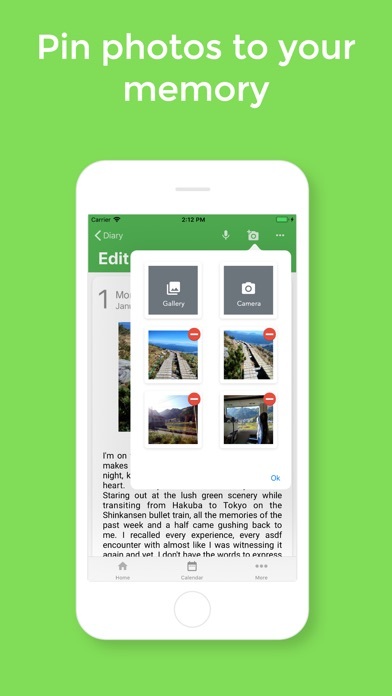 - As a Trip journal app: Seamlessly enable us to travel journal including travel photos in an orderly manner. camera capture enables to take photos quickly in a simple journal. 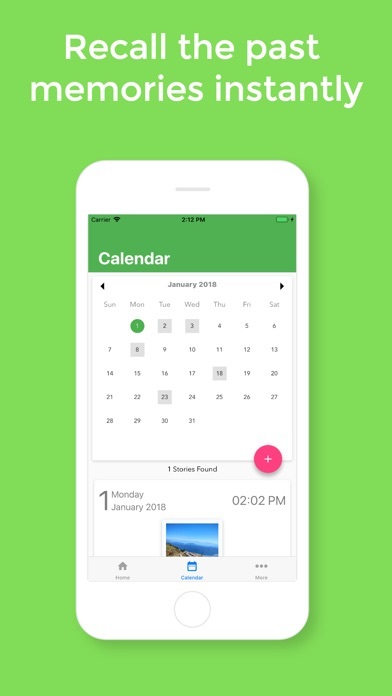 - As a Daily expense tracker: Organise your receipts, bills and invoices daily. Note and save! - As a wish list app: A Bullet journal aids note down wish list quickly. by P.D.H. Artistic Designs Ltd.